Find That Perfect Gift This Father's Day. 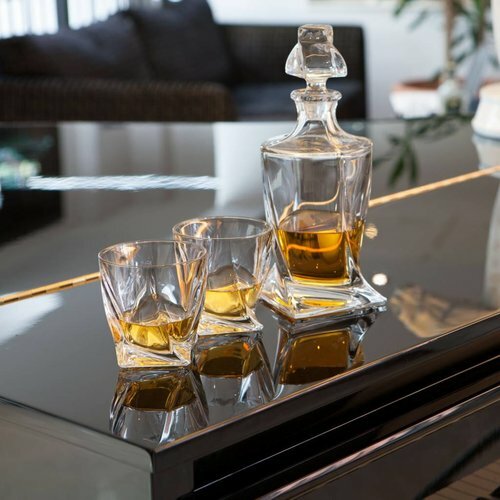 A unique, handmade and luxurious crystal glass is a lifelong gift. 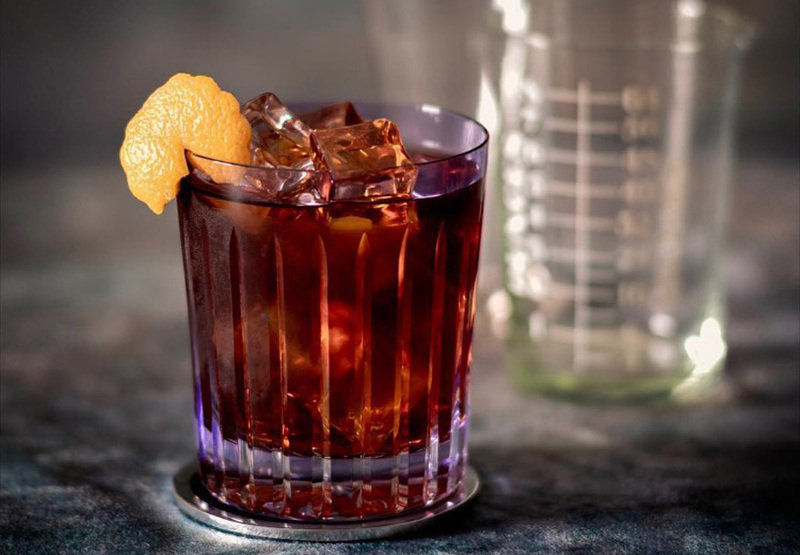 It tells your dad that every time he pours himself a drink, whether it’s a fine whisky or cognac, fills the carafe or serves his favourite chocolate brownies on his serving dish, that his kids thought enough of him to give him something beautiful and right up his street. 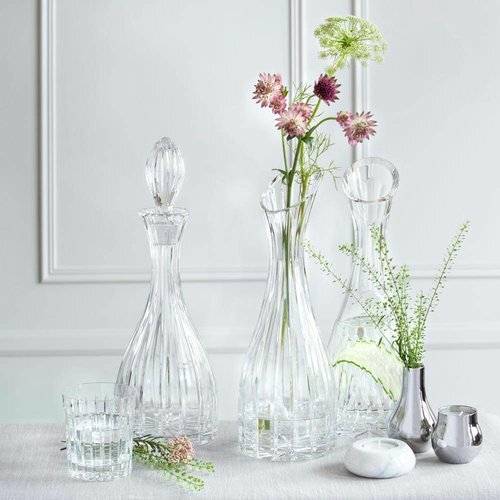 Following the centuries-old tradition of Bohemian handmade cut crystal, our crystal glassware blurs the boundaries between classic handcrafted techniques and sophisticated glass cutting. Tumblers and decanters complement each other not only in design and motif but in function as well, adding depth and sophistication to the ritual of drinking. In this post we would like to present you the choice of crystal glasses which made a strong impact on our customers. 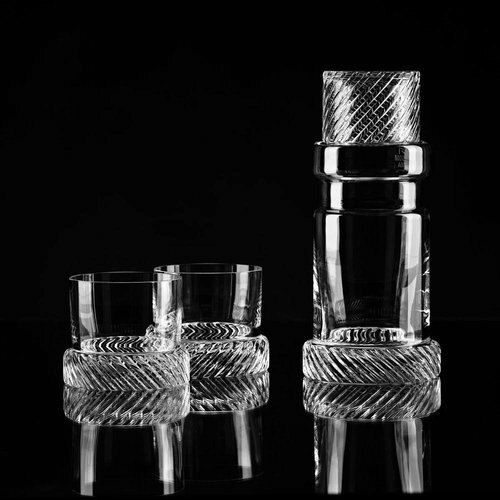 The most popular choice of crystal whisky glasses and tumblers from our collections are Module Two by Thomas Jenkins, Icebreaker and Engineering m60x8. 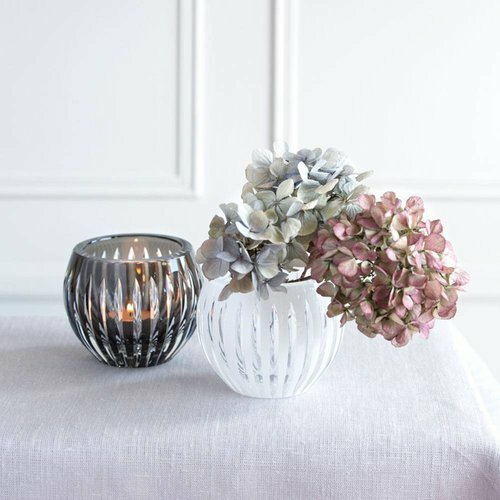 Studio Iskos & Boris are behind Icebreaker design which combines aesthetics of a traditional cut tumbler with a modernised twist resulting with the winning contemporary finish. 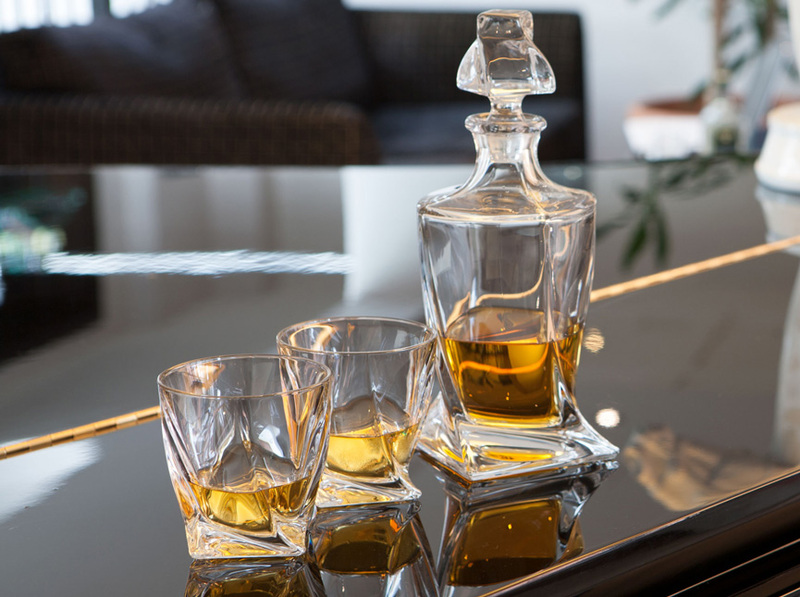 The substantial weight of this 24% lead, crystal collection of whisky glasses, high balls and decanter brings on the WOW factor. Similarly, inspired by the glass cutting techniques both artisanal and mechanical, Thomas Jenkins Module Two Whiskey Glassware have a look and feel which complement the tradition of single malt whiskey distillers. 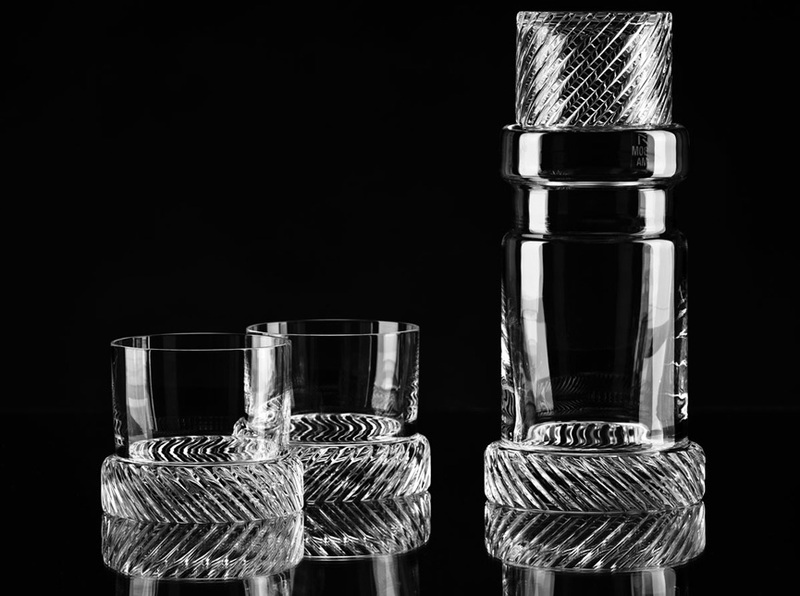 Comprised of a pair of tumblers and a decanter, the design features opposing spiral profiles cut into the crystal allowing them to mesh together and rotate, resembling interlocking gears. The combination of the finest, hand blown crystal combined with the engineering symbols, the screw design, makes the design of m80x6 by Studio Koncern create an area for unique aesthetics and refined design. The deep and sharp vertical cuts starting from the bottom and finishing at the m80x 6 level adopt machine characteristics: quotation and roughness marks, shapes of machine parts etc. The three designs are so unique that you won’t find anything similar on the high street. Both Module two and Engineering have enough space to be personalized with a special message or monogrammed. The next bestselling whiskey glass is called Twist. 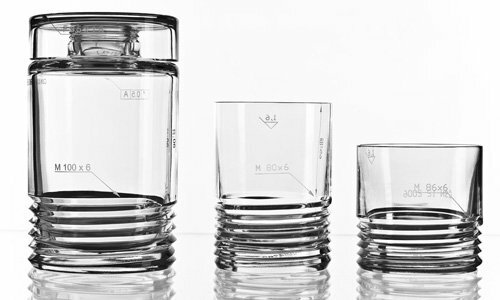 The very modern design of these tumblers makes the glass to sit well in man’s hand. Made of lead-free crystal glass. For those who don’t like the fuss about stems the Bubble crystal brandy glasses are so well designed and balanced that they can both serve cognac, brandy as well as red wine! The bottom part is round which allows it to swing. The frosted cut makes them look very interesting. 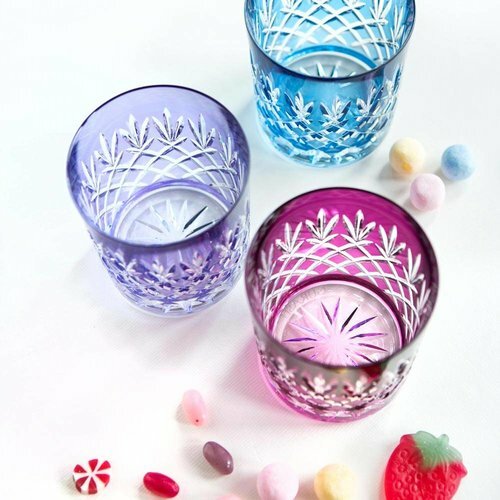 Finally, if you like a pop of colour the smoke or light purple whisky glasses from our Shining Star Collection are an interesting choice to bring more colour and personality to your dad’s drinking cabinet. The simple, vertical cut on coloured crystal brings together contemporary design and traditional craftsmanship to create timeless memories.